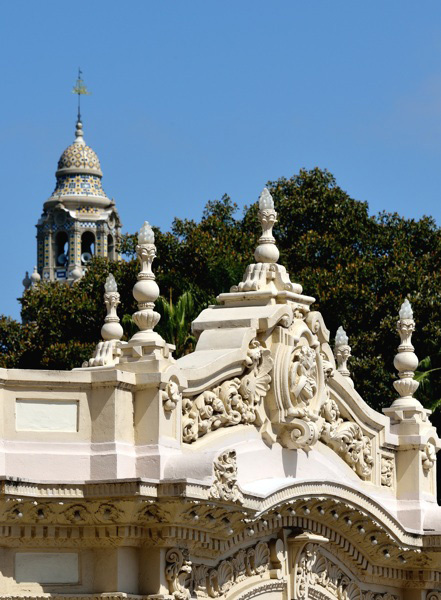 Special Concert Fri. Dec 14 at 6 p.m.
To honor members of the Spreckels Organ Society and salute the 104th anniversary of the great Spreckels Organ, Raúl Prieto Ramírez will play a special concert at 6 p.m. on Friday, December 14. The concert will be free to the public, and members will be especially welcomed with free coffee or hot chocolate upon presentation of their valid membership card. Musical selections will include the “audience choice” favorites of the past year: selections that Raúl has presented that were chosen for repeat performance by pavilion audiences. Bring your family to this special holiday salute to you, our members, and to the Spreckels Organ!